"Once upon a time" is a phrase that immediately conjures images of enchantment. Royal balls, magical creatures, love at first sight... We are taken to a fantasy world where anything is possible. The Queen of Clocks and Other Steampunk Tales brings together the magic of fairytale and the allure of cogs and gears. Within these pages, find dancing automatons, industrial age fairies, a mermaid with wind-up legs, heroes of the steam age, and more. 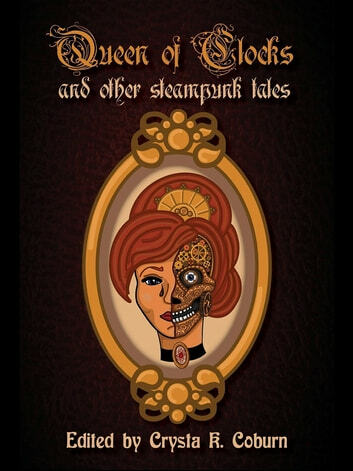 Drawing from classic tales of the Brothers Grimm, Carlo Collodi, Charles Perrault, Hans Christian Andersen, and Homer, these original interpretations are sure to delight fans of steampunk and fairytales alike.